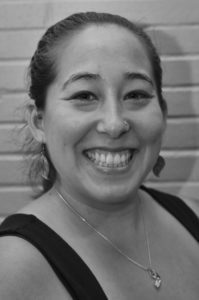 Tania graduat ed from Sutherland-Chan School and Teaching Clinic (Toronto, ON) and was registered with the College of Massage Therapists of Ontario in 2002. As a child and adolescent she planned on pursuing a career in medicine, but in her last year of high school she discovered the massage therapy profession and has never looked back. Because of her lifelong interest in medicine, she maintains a primarily treatment focused practice. She likes to find out the ‘why’ things are happening and then target specific muscles to help them perform to their full capabilities. Tania maintains an active lifestyle and has been involved with various sports/activities. These experiences have helped her to better understand the biomechanics and give her a grasp on the mechanism of injury when treating her athletic patients. From her triathlon training she gained a full understanding of not only the physical but also the mental strain athletes experience when training for a long distance solo sport. Tania also gained early prenatal massage experience during her student placement at Women’s College Hospital. She continues to have an interest in prenatal massage and enjoys being a part of this important phase in a women’s life. She is a big advocate for massage therapy for children and has seen first hand the positive effects on increased body awareness in her nieces and nephews – some of whom she has treated since infancy. Tania likes to be involved in her profession and is passionate about moving the profession forward. Locally, she runs Community Based Network (CBN) meetings for local RMTs, which are for both educational and networking purposes. Provincially, she was elected onto the Board of Directors for the Registered Massage Therapy Association of Ontario (RMTAO)in January 2016. In her spare time Tania loves travelling, entertaining friends and taking in the local food scene. She keeps active with snowshoeing, dragon boating, soccer, stand up paddleboarding, yoga and cardio kickboxing.